A private family service for Grace Ankrum, 90, of Iona, formerly of Tracy, will be held on Friday, November 2, 2018, at the Life Remembrance Center, Horvath Funeral Service, in Tracy, MN. Visitation will be Thursday, November 1, 2018, from 5:00 p.m. – 7:00 p.m. with Sharing of Memories at 7:00 p.m. at the Remembrance Center. Interment will follow the service at Bethel Cemetery in Garvin. Grace Alice (Peterson) Ankrum was born on July 6, 1928, on a farm near Garvin to Peter and Rose (Borman) Peterson. Grace attended a country school. She married Emil Ankrum on May 30, 1958, in Tracy. She proudly received her GED in 1986. She was a member of the Lake Sarah Baptist Church. Grace enjoyed walking, gardening, playing Skipbo, reading, word search, traveling and bingo. She was a wonderful mother and grandma. Her favorite color was purple. She lived with her daughter and son-in-law for the last two years on their farm. Grace entered heaven on Monday, October 29, 2018, at the age of 90. She is survived by her children Sandra Hejl-Ankrum of Slayton, David (and Aurora) Ankrum of Lynd, Tim (and Lotis) Ankrum of Marshall, Susan (and Kevin) Schettler of Iona, and Jeff (and Angie) Ankrum of Elizabeth, IN. 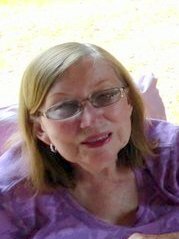 Also survived by her sister, Millie Moen of Luverne and brother Marvin Peterson of Tyler, eight grandchildren, one great-grandchild, nieces, nephews, relatives and friends. She was preceded in death by her parents, husband Emil, brothers Robert Peterson and Earl Peterson and grandson Desmond Ankrum.